Frank Bruni was born round. Round as in stout, chubby, and always hungry. His relationship with eating was difficult and his struggle with it began early. When named the restaurant critic for The New York Times in 2004, he knew he would be performing one of the most watched tasks in the epicurean universe. And with food his friend and enemy both, his jitters focused primarily on whether he'd finally made some sense of that relationship. 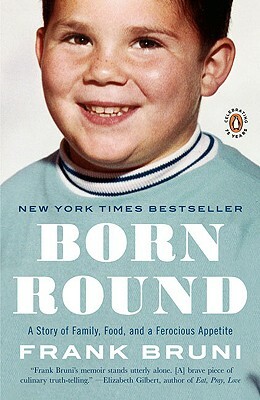 A captivating story of his unpredictable journalistic odyssey as well as his lifelong love-hate affair with food, Born Round will speak to everyone who's ever had to rein in an appetite to avoid letting out a waistband. Frank Bruni was named restaurant critic for The New York Times in April 2004. Before that he served as the newspaper’s Rome bureau chief and as a White House correspondent. His 2002 book about George W. Bush, Ambling into History, was a New York Times best seller. He lives in New York City.